Thursford, Norfolk. The abandoned station viewed west from the site of the crossing gates. 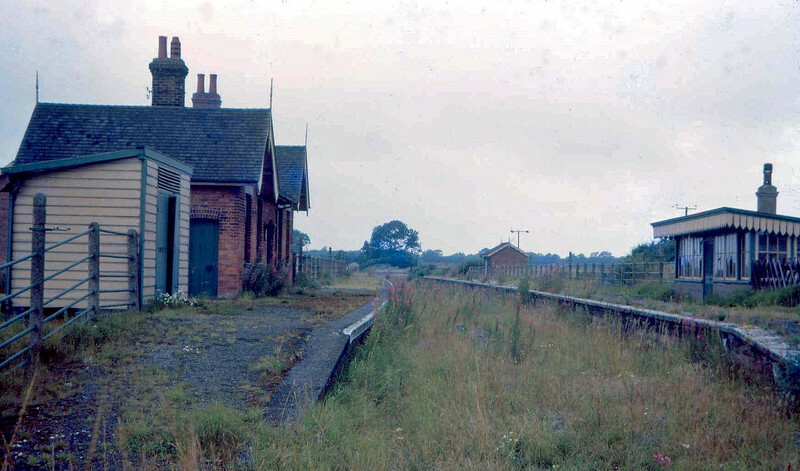 The station was located between Melton Constable and Fakenham Town on the Midland and Great Northern Joint Railway which closed to passenger traffic on February 28th 1959. Very little survives today, the B1354 road occupying the track bed. Site NGR TF 994335.